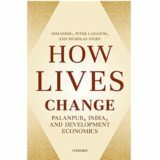 Ms. Rupali Pal received her Bachelors degree in Life Sciences from Gargi College, Delhi University (2012-2015). She holds a Masters degree in Climate Science and Policy from TERI University (2015-2017). She has worked as a research trainee with The Energy and Resources Institute (India Habitat Centre, New Delhi) under Earth Science and Climate Change Division .She was involved in the project titled “Development of an Air Quality Model for parking lots of India Habitat Centre.’’ Later, she worked as a research intern with Indian Institute of Technology, Delhi under Department of Centre for Atmospheric Sciences. 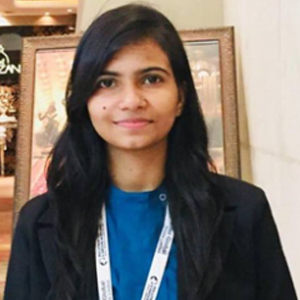 Afterwards, her joint research with IIT Delhi has been published in an international journal ‘Aerosol and Air Quality Research’ titled “18-Year Ambient PM2.5 Exposure and Night Light Trends in Indian Cities: Vulnerability Assessment’’. She has also worked as a Junior Scientist with Climate Change Research Institute, New Delhi. She is a climate enthusiast and her research interests are Urban Air quality, Health Impacts due to Climate Change, Climate Change Adaptation and Vulnerability Assessment, Climate Change Policy, GIS and Remote Sensing.